Similar to Norway's ENSLAVED, Finnish metal legend AMORPHIS has ridden a long, sometimes strange journey on its search for progression from the ashes of its charred death metal foundations. AMORPHIS has been so daring it's come close to becoming more prog than death metal (delving in pure rock on 2003's "Far from the Sun"), yet both bands have found a necessity to hearken their darker roots in recent works. 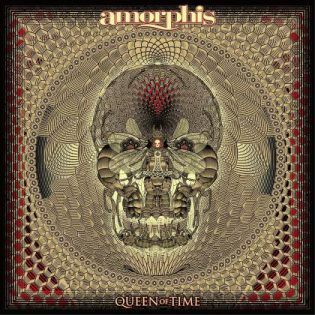 In AMORPHIS's case, working with Jens Bogren, the same producer as OPETH and AMON AMARTH, means its search for progression hits a crest with the sometimes bombastic and frequently exquisite "Queen of Time". 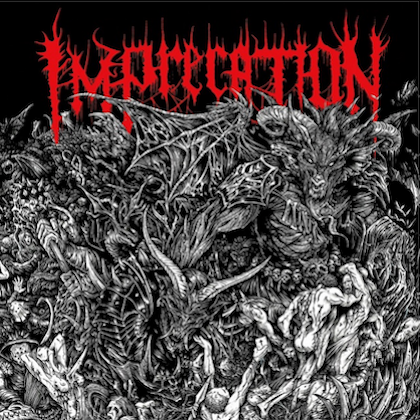 This album marks the return of original bassist Olli-Pekka Laine, replacing Niclas Etelävuori, who departed after 17 years in the band. The co-founding core of Esa Halopainen, Tomi Koivusaari and Jan Rechberger remains, marking "Queen of Time" the first AMORPHIS album since its abiding 1994 classic "Tales from the Thousand Lakes" to feature all-original members. Longtime keyboardist Santeri Kallio occupies more space than ever on this album, while Tomi Joutsen, who has answered the call to AMORPHIS's growing prog demands, turns the beast loose here in heavier doses. These compositions are long, layered and resonant. Be attuned for saxophone, flutes, reeds, xylophones, choral sequences, wah guitar and even a spoken passage in native tongue by Finnish poet, Pekka Kainulainen on "Daughter of Hate". AMORPHIS routinely consults Kainulainen's writings (along with "The Kalevala") and that trend remains on this album. "Queen of Time"'s theme, loosely, focuses on the rise and fall of cultures throughout history. The dichotomy of placid synths and femme sirens pitted for survival against brute monstrosity in the opening number, "The Bee", stokes early on theatrics. Like Grutle Kjellson of ENSLAVED, Tomi Joutsen ebbs congruously between his grotesque growls and satisfying cleans. The folk elements AMORPHIS has elevated its music with treads gallantly through the mini-epics "We Accursed" and "Message in the Amber". "The Golden Elk" and "Wrong Direction" trick you into thinking the band has settled into a certain groove before AMORPHIS flamboyantly sweeps its listeners elsewhere. 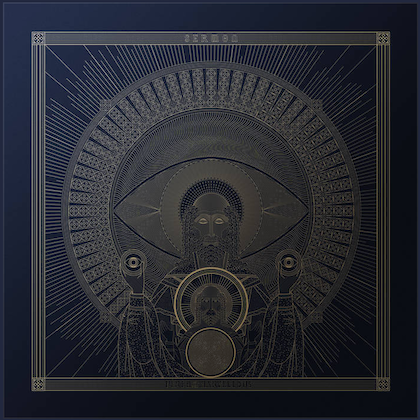 As if this album doesn't have enough highlights already, the guest appearance of former THE GATHERING vocalist Anneke van Giersbergen on "Amongst Stars" is huge. Anneke nearly has an unfair advantage over Tomi Joutsen, whose growls are beautifully ensnared and submitted by van Giersbergen. Over the years, it's been common to hear gripes how AMORPHIS hasn't been the same band that engineered "Tales from a Thousand Lakes". Too true once again, yet keeping things in their proper context, "Queen of Time" is vastly superior in craft and has far more guts in what it seeks to achieve. Tomi Joutsen's harshest bellows are spoon fed rich prog delicacies from his band, forcing his compliant vocal side. Call this AMORPHIS's spellbinding late answer to ENSLAVED's "In Times".